Humans tend to be maximizers, and there is more to it than that, how about we learn to optimize? To learn to reach higher states of conciousness and productivity is an art, and reaching them is extremely rewarding, yet getting there needs quite a foundation. To build personal peak performance can be summarized in the saying: “If you expect me to be like you, I will fit in. When you let me be me, I will belong.” When you belong, it contributes to your wellbeing. This article focuses on the personal side of the challenge: In summary: Schedule your best cognitive work to peak focus hours, reading and reflection to your valleys of rest, and the rest to other parts of the day, the “rebound”. Sleep 7-9 hours a night and develop you relationships with your peers. Knowledge work is a cognitive endurance activity. To perform well over time, we need to align work towards when we have our best conditions, and allow individuals to work and perform at their own daily rhythm, and most importantly to schedule actual rest and downtime. 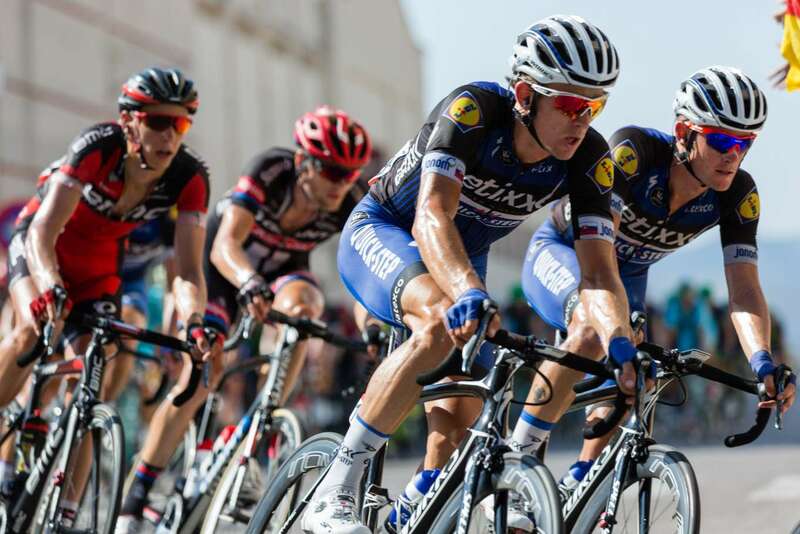 In cognitive work, similar to James whilst still a race cyclist, we need to pace ourselves not to maximize the sprints, but to optimize for the sprints, the whole race, and our careers. To optimize towards peak performance, the most important thing we can do is to find our daily rhythm and align our “cognitive gears” to it: high, medium and low intensity work. Some of us perform best in the morning, others at night. We should do our best to schedule analytic and thinking stuff to our peak moments during the day; and more importantly schedule rest, reading and reflection to times when we are low on energy. Menial work, small tasks and deck clearing should be put into “rebound time”, the time in between. Peak work should ideally have a measure of positive stress attached to it, the Pomodoro technique is one way to get there. Allow for, and encourage solitude and reflection to help employees find flow, it’s key to productivity and performance (more on that in the next article). Sleep 7-9 hours per day, depending on your specific needs for optimal performance and measure to make sure you actually find your way, and make room for disciplined recovery. Overall, James Hewitt’s research connects high cognitive performance with wellbeing: to have adequate sleep, managed stress and a positive mood. Integrity and trust is key for leaders of today, both in actual work, as well in expectations set on all employees. We need to care. Lapse in judgment can happen, but failure to act with integrity should not be tolerated, it destroys the love in and for the company. In order to build high performance organizations, we most of all need talent, individualism, accountability and a passion for development of our people. We need to care, for our employees and for a purpose. People are not a means to and end, but an end in themselves (John Mackey). People needs lots of love and care to perform, but most of all an environment to thrive in. Some would say that getting to high accountability/low blame should be called exerting tough love on each other. The best team performance comes from a shift in team dynamics from a low performance blame-based environment, to a high accountability and low blame one, where joint commitment prevails. Joint commitment is based on the assumption that each and everyone of us contribute our part to failure and success. To get joint commitment, we need to change the assumption that “it’s mostly someone’s fault”, with the purpose of punishing the perpetrator; to an assumption that we all contributed to the issue with the purpose of learning together. When you analyze team failures, use the three contributions approach to map the underpinning contributions to what happened: “my contributions”, “their contributions”, and “others’ contributions”. Some of us are blame absorbers, and some are blame shifters. If you are an absorber, don’t absolve other’s faults: only assume your own fault, otherwise you impede team accountability for failures, we need to learn together! Each of us need to take into account how others on the team work. When a way of working together does not work for us, we need to make requests for changes. To be silent about issues does not help, we each need to be accountable for the team’s common performance. In addition, we should be aware that our natural coping strategies reinforce and compound the problems of blame-based culture (Sheila Heen). When we work with people that tend to be different from us, it makes a huge difference to be aware and present. Towards introverts we need to send more materials upfront to allow for preparation, and to temper our enthusiasm as it can be overwhelming. Towards extroverts we need to speak up earlier to get space in the room, understand that our enthusiasm don’t show as strongly as we think it does and that we need to express our enthusiasm more loudly (Susan Cain). We need to understand people’s specific needs, and meet them. Performance comes from considering what people need and to ensure that those needs are met. Values and integrity ensures that trust is built and compounded over time. Don Tapscott shared that trust in essence is the expectation that the other party acts with integrity. Good is not the same thing as not bad. Measure and drive towards excellence instead of fixing what does not work. Explore using a free-thinking scientific approach to excellence, as excellence exists in every area. Don’t focus on fixing what is bad, seek to emulate excellence instead. What does the common sense tell us in the situation? See how and if the common sense has backing, most often it does. We need to reexamine our ways of working and accept our ignorance as science moves forward. That we are reliable raters of other people is one of the most important corporate myths, it does not have scientific backing. It turns out that we aren’t good raters at all, we are ideosyncratic and very shadowed by ourselves. The same goes for “potential”, which is in the eye of the beholder at best, and downright destructive at worst; potential is self-reinforcing, it makes real talent without magic “potential” become passed over due to cognitive biases and stereotypical notions. Four to one (at least) is the right ratio of reinforcement feedback to the rate of “fix it feedback” for people to stay engaged (Marcus Buckingham).